Dreadful Tales: The Space Between is rated 4.0 out of 5 by 13. Rated 5 out of 5 by ekaska from Need more like this one Good story line. The steps in the game and the plot were in line and actions made since, rather than just do stuff for no reason. Liked this game and liked to see more that are similar. Rated 5 out of 5 by baj3016 from Excellent new spooky series Excellent new series. I love the game. It is very spooky but so different and so much to explore. Rated 5 out of 5 by Scobeaux from creative, interesting and fun - very highly recommended This game was deficient only in being not as long as I would have liked. I loved how creative they were in coming up with variations on the usual find a screwdriver, find a battery, find a key. The hidden object puzzles were also very creative. For example, one had shapes made of cobwebs, another had pictures on porcelain cups, and a third had the hints in a very creepy song. I liked the way the four chapters alternated between the man and the woman - she using mostly logic and he using mostly tools. There were quite a few puzzles, some of which didn't even have instructions - part of the puzzle was in figuring out what to do. Many were original and even the ones we have seen before were presented in a novel way. I found this game to set a new standard that I hope other developers will attempt to match. I am usually happy with the standard edition but I liked this game so much I wish I had bought the CE. Rated 5 out of 5 by LikeAGoodStory from Eipix's Finest in Any Genre I am not a fan of the horror or psychological thriller genre but this game is so masterfully executed, I will play it many times and more than likely, learn something new each time. 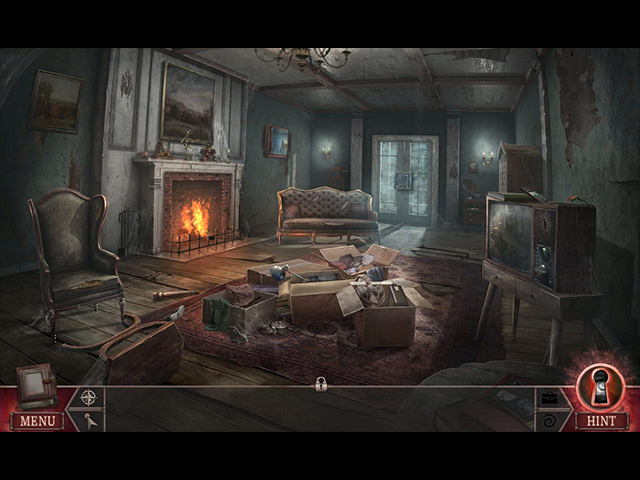 Hidden objects, puzzles, and adventure (storyline) were rarely what I expected, which was such a delight, not a word usually associated with horror. Eipix has really outdone itself. Bravo!!! Other reviewers offer excellent specifics on the HOPS and overall execution of the story, especially skullfun. I have nothing to add but praise. My review is based upon completed play of the game. Rated 5 out of 5 by byreiki from Truly scary I don't usually get emotionally involved in a game. I just play to have fun, enjoy the puzzles, and escape to another scene. However, in The Space Between, I was totally emotionally involved in the survival of the couple trapped in the house of horrors they'd bought to flip. I found myself hating the monster who was after them. I hated him because he truly scared me. He had me/the husband and wife on the run over and over and over until.....well, you'll see. Rated 5 out of 5 by cyndrap from Excellent game - exciting new series I am very impressed. Good story, good cut scenes, great graphics, good voice overs, interesting play. I was hooked in the first 10 minutes of play. Good story pacing and wanted to know more. Play made sense and tasks were appropriate to the story line. Rated 5 out of 5 by skullfun from ~~~THE BEST HORROR SERIES EIPIX HAS DELIVERED THUS FAR!~~ Dreadful Tales: The Space Between is an example of what Eipix is capable of when they really put their minds to it. This is a thoughtfully-constructed horror adventure that will surely go down as one of the year's best. Mark and Martha Spencer just bought themselves a new country mansion for an oddly cheap price, hoping to flip it for profits in the near future. Odd thing about it was that the property was priced low for a reason, and a sinister one at that. Help the Spencer's survive throughout the night until dawn as they discover the dark history of their new (haunted) house! What a fantastic way to begin the new year! Dreadful Tales: The Space Between is an extremely promising start to Eipix’s new series, it effectively and seamlessly combines the horror genre with the psychological thriller genre. While the outline execution of the storyline is not the most original concept, the delivery is incredibly engaging. The slow-paced storyline is also offset by the suspenseful and creepy atmosphere that kept me on the edge of my seat from start to finish!!! 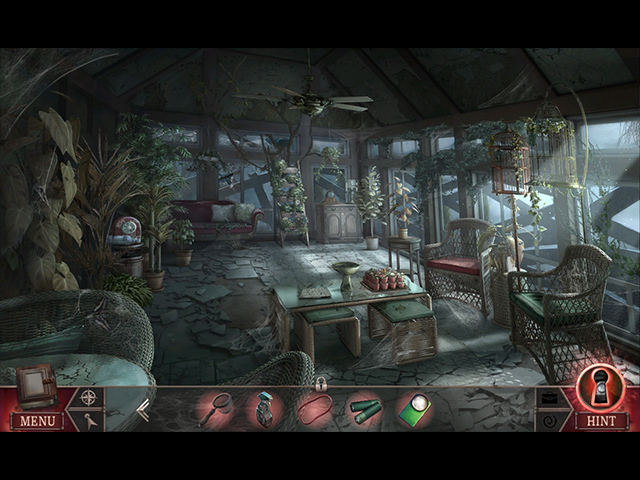 The horror elements in Dreadful Tales: The Space Between are as successful as they are thanks to the game’s production team (they did an excellent job). The chilling environment is also perfectly presented through the game’s bleak visuals and haunting music. Although the visuals can be seen as a little rough at times, I think they might be intentionally done in that fashion in order to evoke the horror feel. Lately, Eipix’s games are often uninspired and predictable especially when it concerns their gameplay and honestly, I am not a huge fan of their games. 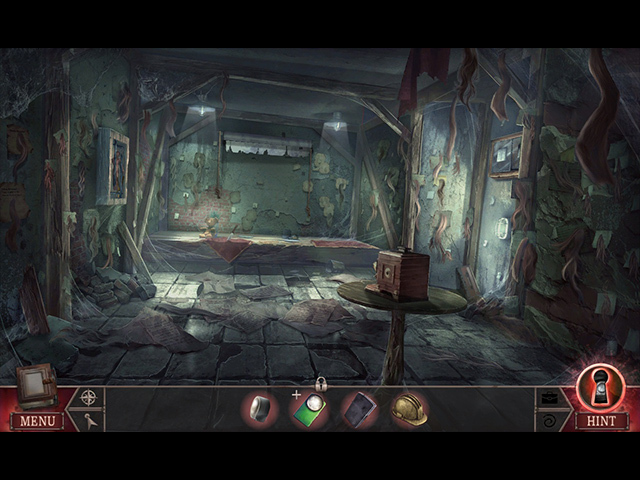 To my delight, Dreadful Tales: The Space Between’s gameplay is pretty complex and creative. The adventure part is non-linear and involves a surprising amount of unconventional problem-solving. I also thought that the hidden object scenes and the puzzles were well-crafted, considerably challenging, and cleverly tied into the storyline. In my opinion this is Eipix 's best work so far and fans of this genre will most definitely appreciate how intricate and engaging this HOPA plays out. Dreadful Tales: The Space Between took me five and a half hours to complete and the prequel bonus chapter took me an additional hour or so – and I am definitely hungry for more!!!!! I chose the Collector’s Edition over this Standard Edition because it contains all the standard bonus bling; a strategy guide, wallpapers, concept art, soundtracks, videos, achievements, collectibles, morphing objects, repayable hidden object scenes, replayable puzzles and a souvenir room. Kudo's to Eipix on their latest release and raising the bar to deliver an innovative new series that it destined to be an incredible series if the developers continue on this path. Cheers! Rated 5 out of 5 by Majestyx12 from Dark Urban Myths This game is dark both in the story and the scenes. Lack of color. It's a story of Martha and Mark Spencer who just bought a house to flip it. Little did they know what they got themselves into. The couple switch places in the game. This game is clever. You have to connect the clues by yourself. The puzzles do out number the hops. 17 mini-games and 11 hops. I liked the tea set and the scribbles hops. I didn't like the shrilly sounds and had to turn off all but the voices. That isn't new from this maker. Rated 4 out of 5 by Yanie1020 from Pretty Good Fun but not mind-blowing, and the puzzles were too easy, thus 4 stars instead of 5. I've been busy and haven't played for a while. This was a good one to get back into the playing mode. Good voiceovers. I wish when they say a game is scary it really is. Time for some adult themed games! Rated 3 out of 5 by pennmom36 from A DREADFUL TALE, how appropriate! Curiosity got the best of me as I entered a quirky little Shop of Oddities, or is it a shop of Needful things? To my delight, I get to choose my first free welcoming gift, a Doorknob from the Haunted Grave Manor. No wonder these doors are always missing doorknobs! Along with the doorknob, I get to hear a Dreadful Tale about Martha and Mark Spencer who bought the fixer-upper Manor sight unseen, and like all abandoned manors, it's not completely vacant, it's haunted! I'm sure this game will be a smash hit just because it's under a new title, but for me, this truly was a Dreadful Tale. I was really looking forward to this game because I love this genre and there's always the potential for something Eipix to come along. Hopefully, the next game in this new series will be less Dreadful to endure. I was disappointed once again by Eipix, the graphics are horrible and cartoonish, the storyline moved at a snail's pace, the tasks are mundane and boring most of the time and every room in the house is unappealing and has very few areas of interest. There's no color, and no imagination, there's nothing new here, the HOP's and mini-games are the same styles as several of the last games offered by Eipix, such as going through a box of Horror Books that you published in a Hidden Object Scene. The worse part for me was the lack of logic or the credibility of some of the features. This house hasn't been occupied by anyone since the previous owners for an entire year, yet after removing a barricade of chairs (proving it was a room we have not yet entered) I finally enter the Basement and the first task is to find a way to stop the washing machine! Are you telling me the washing machine was running non-stop for an entire year? Not only did it not overheat, but the clothes were hardly scathed after a year's worth of soapy agitation! Another thing mentioned was that the house went into escrow after the owner Abitha Grave passed away. I could be wrong, but escrow is an account where money and documents are deposited until both the buyer and seller fulfill their obligations. If a person dies and the property hasn't been willed to an heir, the house would be turned over to Probate Court? (but I could be wrong, or it may vary from state to state or country??) You play two different Characters the first and third Chapter you play as Martha Spencer, and Chapters 2 and 4 you play as Mark Spencer. In the CE version, each scene has a Hidden Moth, which I'll admit was an excellent choice because the moth blends into the drab scenery quite well. There are also Collectible Cassette Tapes and Morphing Objects in some of the scenes, of the CE version. The Hidden Object Scenes are mostly variations of Listed Item Finds but there are also multi-layered HOP's that require finding and placing plant labels, finding cheese-related items to place on Silhouetted Shapes and Keywords within a Nursery-Rhyme. There are 20 HOP's in the main game but there are no Morphing Objects or alternate puzzles available. The Mini-Games are really easy to solve but like most Eipix games the 29 available puzzles become a little harder as you progress. They have good instructions that are easy to understand with the exception of a few multi-layered puzzles. Below are brief descriptions of some of the games you'll encounter during the game: 1-Click when the footprints are directly under each foot. 2-Use directional arrows to guide the flower thru a cube maze. 3-Click on matching Cacti to remove them. 4-Align symbols on 2 disks according to the clue shown. 5-Set 4 dials to the symbols that the above puzzle reveals. 6-Rotate the cover to select the number that corresponds with each letter (the clue is found elsewhere) 7-Rearrange the plates to create all 3 shaped keyholes at the same time. The Collector's Edition has 18 Wallpapers, 4 Concept Art pictures (with before/after slider bar) 7 Music Soundtracks, 9 Movie Video Cutscenes, 13 Achievements to Earn (6 of which have 32 categories) a Souvenir Room with 16 Souvenirs to uncover (requires a code from the Moth Collection) 34 Well Hidden Moths (one in each scene) 16 Morphing Objects within the scenes, 10 Collectible Cassette Tapes, 4 Main Chapters +Bonus Chapter and a built-in Strategy Guide.